Let freedom ring this year with any of these top firework displays and celebrations across America! ation draws over 3 million guests each year along the East River, the entire event considered to be the country’s largest firework display. See over 50,000 pyrotechnics as well as today’s biggest stars, this year including Kenny Chesney and Meghan Trainor. Let Freedom Sing - Head to Nashville and attend the largest celebration in the South, the region’s largest firework show that goes on for a dazzling 27 minutes. See live performances by the Nashville Symphony as well as other A-list country stars throughout the entire event. Red, White, and Boom Festival - There are several different Red, White, and Boom Festivals around this time of year, our favorite being the Minneapolis event. This 2-day celebration contains live music, family fun, and one of the largest displays in the country, all along the scenic downtown riverfront. Wawa Welcome America - What better place to celebrate the freedom of our country than at the birthplace of our country, Philadelphia. This entire celebration lasts 8 full days, each day full of summer fun, Army bands and officials, historical tours, and what is considered to be the country's largest free concert! Freedom Over Texas - Head to Houston to see exactly why ‘everything is bigger in Texas’, the Freedom Over Texas celebration being one of the biggest in the area. Enjoy 6 full hours of entertainment and activities, the night ending with a choreographed firework display you won’t want to miss! 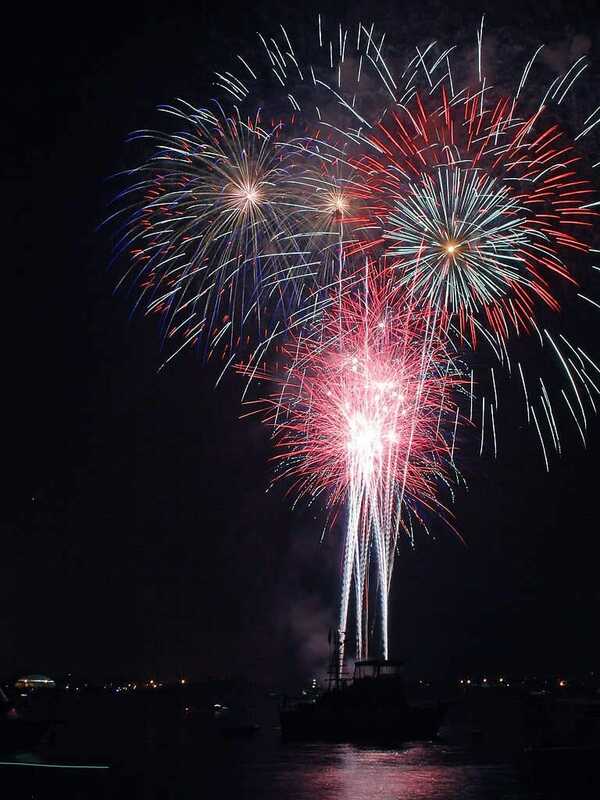 Boston Pops Fireworks Spectacular - Over 500,000 visitors gather along the Charles River Esplanade annually to enjoy seriously great music and fireworks for the 4th. Some argue, however, that the best views are from across the river in Cambridge.